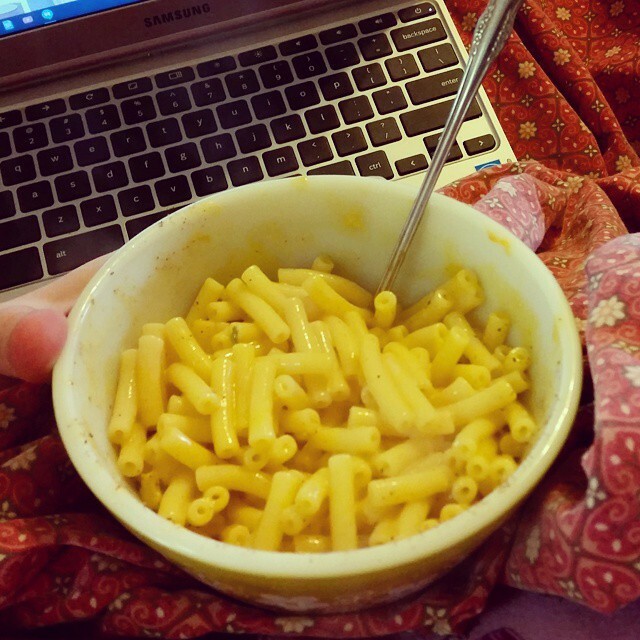 It’s because I do this thing where I get depressed because I’m by myself and don’t leave the recliner for the entire day except to go to the bathroom and make (gluten free) boxed mac & cheese (thank you, Aldi!). And cry a few times. I know, it’s pathetic, but I’m not the type that gets tired of my husband and wants him to go away for awhile. As a result, Saturday was a little lonely (although I did binge-watch The Golden Girls and the National Figure Skating Championship). Friday night was excellent; I had dinner and watched a movie with a couple of my very best friends. And by Sunday afternoon, I was reunited with my other half. There hasn’t been much de-cluttering in the last few days; I didn’t do much while Joey was gone and the last couple of days have been pretty stressful, so we’re going to have to pick up on it a little later in the week. I’m afraid we’ve lost momentum. Our plan is to go through the bags of “keep” clothes and see if there are any in there that we’re ready to part with upon second review. I also want to go through my bags of yarn, frog projects that I don’t plan to finish and toss ones where the yarn can’t be salvaged. I think that’ll probably be a Thursday project. I’m thinking of doing a couple of weekly features on the blog: Monday Meal Plans and Wordless Wednesdays. Two of my goals for the year were to be more diligent in meal planning and to work on my photography skills (especially after seeing Tammy Strobel’s blog and photography work done solely with her iPhone). I’ve been doing various photo-a-day challenges on my Instagram since October (and I’m creating my own for February), but I want to take more effort on those pictures in the future and make the most of the Galaxy S5’s excellent camera. We’ll see how it goes. I also found this website the other day; it’s got links to THOUSANDS of free online classes (from reputable universities!!) that you can take at your own pace (some for credit, but most not). How awesome is this? I’ve been thinking about learning some about web design, and this affords a great opportunity. Peace out, folks. Hope you have an excellent Hump Day tomorrow.